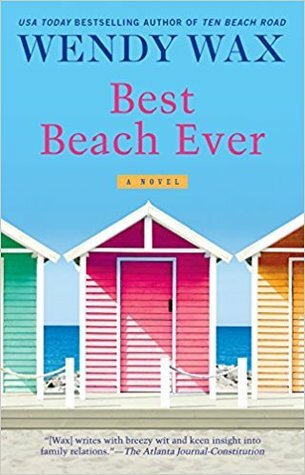 Goodreads: After giving up their renovation-turned-reality-TV-show Do Over, the ladies of Ten Beach Road move into cottages at the Sunshine Hotel and turn their beloved Bella Flora over to its wealthy mystery tenant. Now, each woman will be forced to reexamine and redefine her life, relationships, and dreams. Kritters Thoughts: The sixth book in the series and this book is different from the rest of the series. This is the first book where there isn't a formal house renovation and instead the book solely focuses on the characters and what is going on in their lives beyond a home renovation. The thing that I loved most from the previous books was the characters, so I was excited to read a book that didn't focus on the drama of a home renovation as that felt like it had been done a few times in this series; instead this book is all about the women. Although this book felt a little disjointed because the women were in and out of each other's lives, it made the book feel fresh and new. Wendy Wax did a great job of giving each woman a moment or more in the book for their stories to progress. The one big thing I can say about this book and most in the series is you can read them with some time in between because there is so much recap in the beginning. Having read book one and two just before this one, it felt repetitive and frustrating, but I could see if you read them sporadically that recap would help with your reading experience. I would appreciate this more if there was some time in between my reading. With a Florida setting and a focus on the beach and sunsets, I was so glad that I was able to keep this book for my beach vacation, it was the perfect addition to my beach bag.